I really like to use zucchini as an ingredient in baked goods. It seems to give the items an extra dose of moisture that results in a terrific texture for breads, muffins, or, in this case, cake. This cake, which I found at Chocolate, Chocolate and More, would be delicious with a fruit or Jell-O salad on the side or just eat it by itself with a big ol’ cold glass of milk. Mmmm! Preheat oven to 350 degrees and prepare to loaf pans by spraying them with non-stick spray. 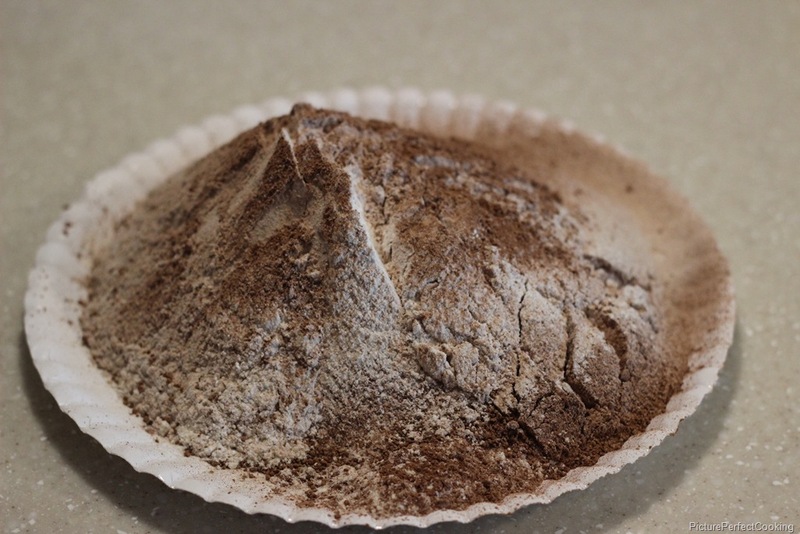 Combine the flour, cocoa, baking soda, baking powder and salt on a plate and set aside. 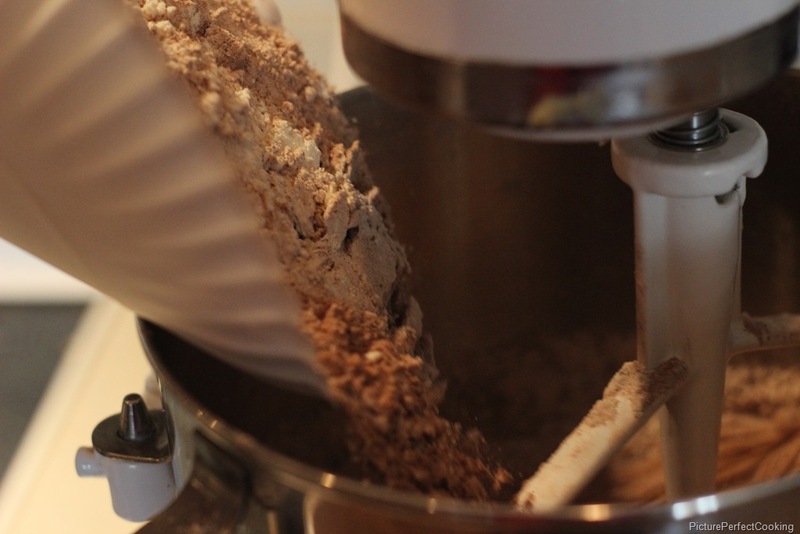 I prefer using a paper plate for this because it makes it easier to pour into the mixer later. In a medium mixing bowl, beat eggs and sugar until they are light and fluffy. This takes about 2 minutes. Add in the oil and vanilla and stir to combine. 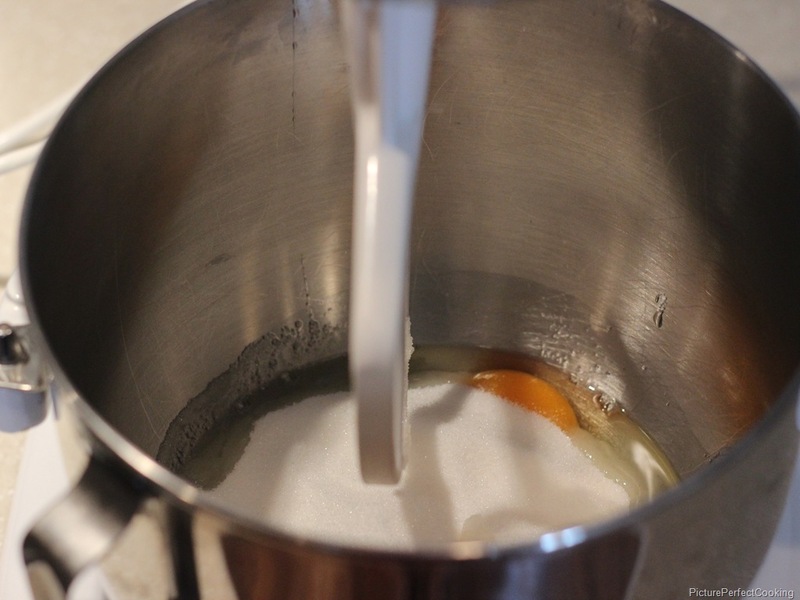 While your mixer is running on low, slowly add the flour mixture to the egg/sugar mixture. Beat until just blended. 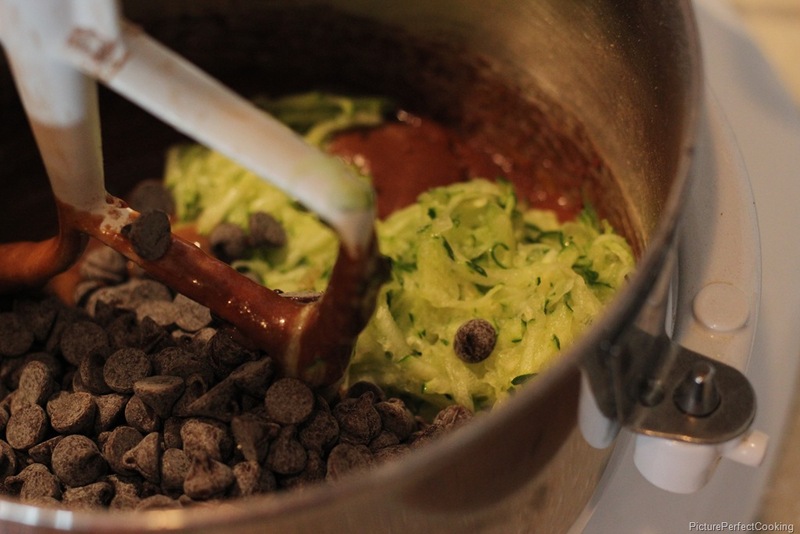 Fold in the shredded zucchini and chocolate chips. 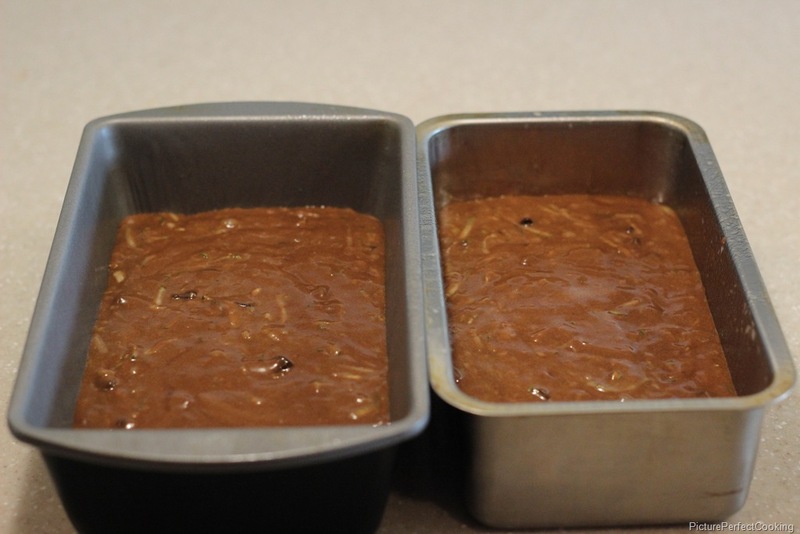 Pour the batter into your prepared loaf pans and bake for 50 to 60 minutes. Mine were perfectly done after 50 minutes so be sure and check them at that time. Allow the loaves to cool for 10 minutes, then turn them out of the pan and cool completely. Slice and enjoy! That looks delicious! I will be trying this very soon! Thanks for visiting and commenting! I hope you like the cake. Thanks for stopping by and for your wonderful comment! I will definitely try to link up with you very soon. Perfect thing to post with summer zucchini hitting markets soon! Love veggies in the summer. Pairing them with chocolate just means my boys will eat it too 😉 Great blog! Thanks so much for visiting and for your sweet comment! I love using zucchini in baked goods. I also have a whole wheat honey zucchini muffin recipe that I wrote about last year that is really yummy. Hope you are having a great summer weekend and thank you so much for sharing with Full Plate Thursday. 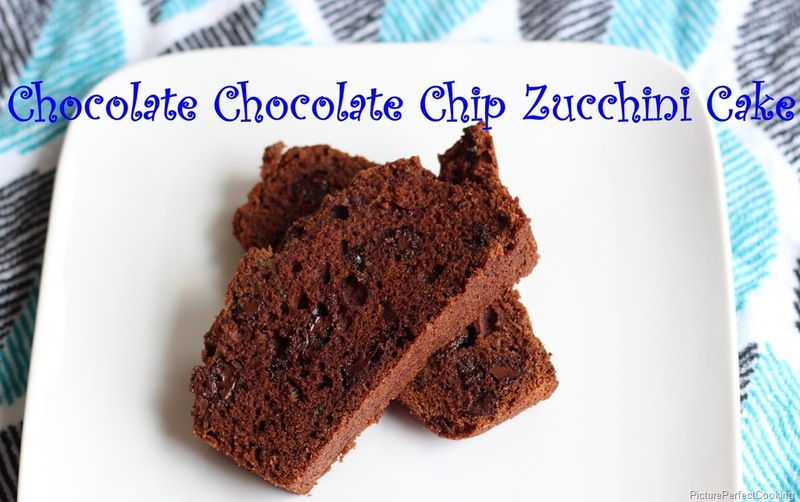 I’ve always loved zucchini bread! This makes it even better 🙂 Visiting from Saturday Dishes! Chocolate makes everything better in my book. 😉 Thanks for visiting and commenting! 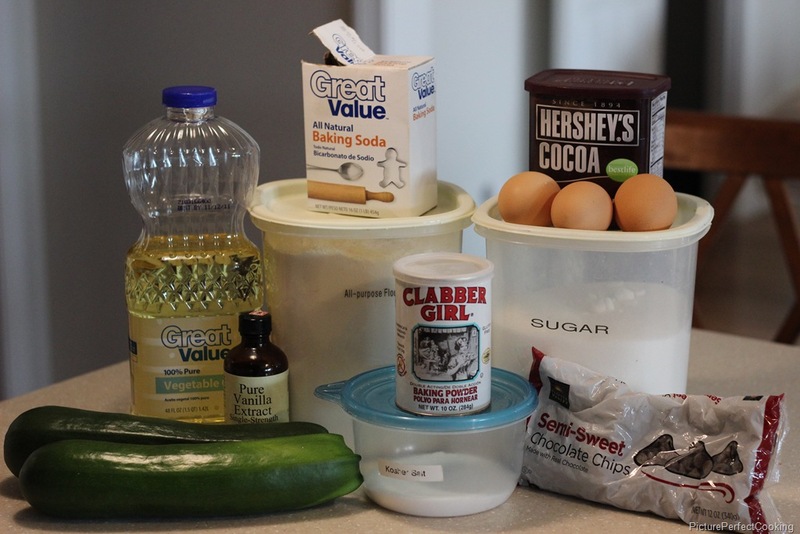 I bet this cake is super moist with the Zucchini in it. Thank you so much for stopping by and linking up at Saturday Dishes ‘CHOCOLATE” Blog Hop. I pinned it.